TN! Season 3 | Hamilton Dramaturgy's TheatreNow! TheatreNow! 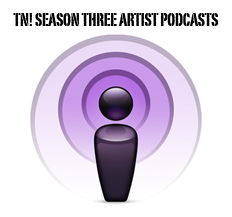 Season Three’s podcasts will be published on the website in the upcoming months. 2014 has been a building year for TheatreNow!. We have expanded our staff with the addition of Danica Rodriguez and Thais Flaitt Giannoccaro. Our global outreach has increased with representatives in the United States, United Kingdom, Asia, and South America, and we have plans to translate our interviews into Korean and Portuguese. TheatreNow! also has a Young Adult Representative to help us build more interest in the theatre profession, especially among young women.